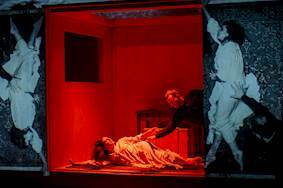 A new play, Death and the Girl, from talented Russian director Maxim Didenko, was due to premiere in London and needed powerful projection onto its 7x5 metre screen and a rotating room in the shape of a cube. 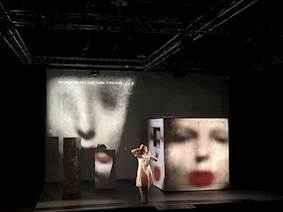 Performance projection would be one of the main means of expression throughout the show and would need to encompass three faces of the cube as well as the big screen/back wall simultaneously. These projections had to be sharp and clear even with maximum lighting on the stage. 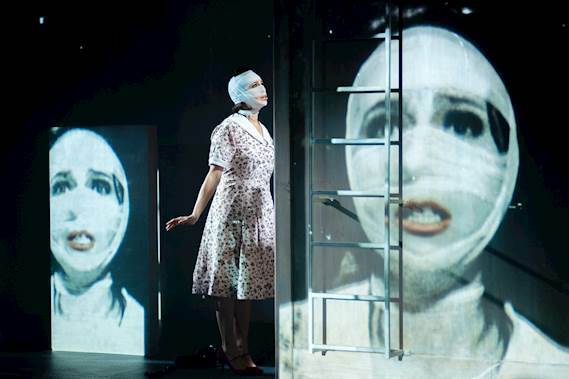 The performance tells the tragic story of Soviet actress Valentina Karavaeva (1921-1997) who, after starring in the film Mashenka (1942) for which she received the prestigious Stalin Prize for her performance, had a car accident that left her face disfigured. She was never asked to act on film again and died in poverty in December 1997. In the final years of her life, Karavaeva filmed herself in her apartment playing excerpts from roles she was not destined to bring to life. This part of her life was the inspiration for creating the performance, and set out the blueprints for the Vlogs and selfies performed in the show. 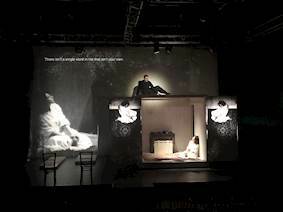 The theatre company used the powerful WU515T WUXGA projector which has a large zoom range, lens shift and built-in HDBaseT and four-corner geometric adjustment to simplify setup. The company also used two short throw WU515ST projectors. 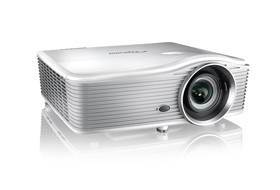 These have the same features and powerful projection as the WU515T but are equipped with a short throw lens which can project 100” image from less than two metres from the screen. The team employed four cameras: two stationary (front and top points) and two iPhone cameras which the actors use to film themselves during the performance. 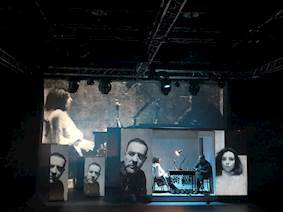 Images from all 4 cameras are live projected onto the surfaces of the set during the show. Resolume Arena 6 was used as the media server. The theatre performance Death and the Girl opened at The Tabernacle Theatre in Notting Hill, London on 28 November. 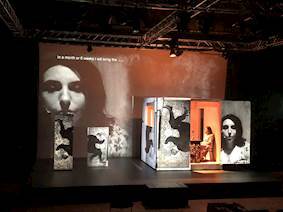 Oleg said: “The entire production team was amazed at the brightness and contrast of these projectors which belie their compact size. Optoma projection equipment allowed us to realise our artistic design without any restrictions, with maximum installation flexibility and high resolution. 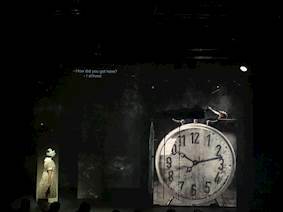 The author of the play Death and the Girl, prominent contemporary Russian playwright Valery Pecheikin, combined the biography of the actress with excerpts from her roles. He created a deep, exciting and paradoxical work about the fate of actors in the world and the fate of each person living their life as a role. The leading role is played by Alisa Khazanova. Her stage partner is Aleksey Rozin who has been hailed as the rising star of theatrical Moscow and has starred in several films including Loveless. The director, Maxim Didenko has been nominated for several awards, including the Golden Mask, the Golden Sophite, the Breakthrough and the Sergey Kuryokhin Award. 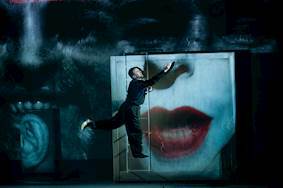 His performances merge serious subject matter with bright, modern direction and present the bold, rude and lively world of new Russian theatre. Another big name on the team was artist, set and fashion designer Galya Solodovnikova. The original music for the performance was written by Louis Lebee - composer, musician and music producer of French-British origin, who lives in Moscow.